Azle Air Conditioning Heating and Electrical can help you, whether you need a simple service call, looking to rewire your home or office, or have a major electrical project. We take pride in our workmanship and are committed to excellence. No job is too big or too small for our superior electrical services. 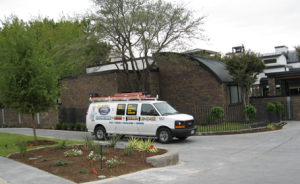 We have the best electricians in the Azle, Springtown, Weatherford, Fort Worth, and surrounding areas as they are highly trained, skilled, and experienced; all while offering a full range of residential and commercial electrical services. Each of our master electricians here at Azle Air Conditioning Heating and Electrical is prompt, courteous, dependable, punctual, and clean. We are insured and licensed by the State of Texas giving you accountability and quality service the first time, and every time thereafter. This philosophy is what keeps our clients referring us to others. In fact, most of our business is generated through word of mouth – which is the great testament to our work ethic and personal service. The lights go out, a fuse is blown. You’re feeling brave, so break out the screwdriver and tackle the problem yourself. You get the paneling open and there staring back at you is a tangled mess of color-coded wires and cords. What a nightmare! Tackling your own electrical problems is daunting, to say the least. When it comes to electrical systems everything looks about the same, but one wrong move and you could make your problems worse and your costs higher. Don’t burden yourself with the hassles and headaches that an electrical repair job calls for. 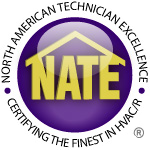 When you call Azle Air Conditioning, Heating & Electrical you’ll get trained, experienced, and certified Texas electrical professionals that will arrive on time, get the job finished fast, and everything completed the very first time. Sometimes there are a few miscellaneous things that just don’t fall under our regular services. Perhaps you’ve got some ducts backed up, insulation giving you grief, or even some thermostats acting up. When that happens rest assured that Azle Air Conditioning, Heating & Electrical can handle it. When you’ve got dirt, dust and grime building up in your ducts things are going to come to a head. A thorough cleaning and sanitizing is all you need to ensure your ducts are working properly for the year ahead. With winter coming on you want to ensure your home is energy efficient and that heat isn’t escaping, and with it your money for the power bill. Insulating your attic is a great way to keep heat in and significantly decrease your utility expense. Attic insulations can be done year round so call us today. Is your dryer squeaking up a storm? It just needs to be taken apart, cleaned well, and put back in working order once again. Besides decreasing that awful sound you’ll also be reducing the fire risks to you and your loved ones. It can be a real hassle rushing up to the thermostat every hour, can’t it? Why not set it and forget it with a programmable thermostat that’s both energy-efficient and saves you costs? Call us today to get started. If you’re ready to find some relief from your high power bills then give Azle Air Conditioning, Heating & Electrical a call today. We’re looking forward to getting you out of the heat now!